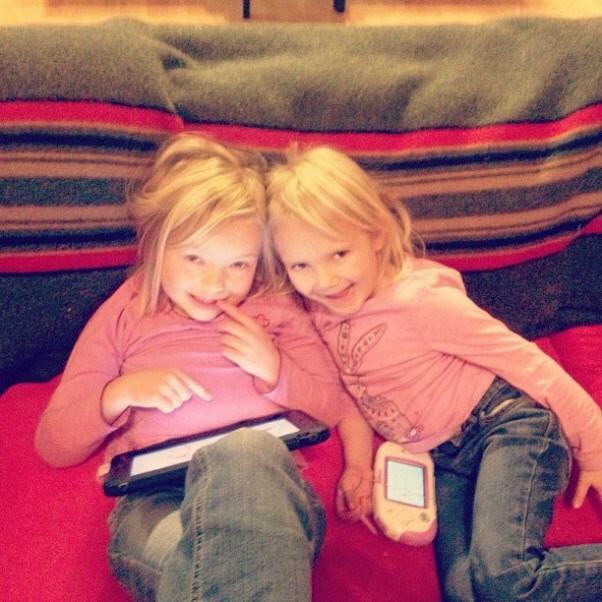 My children, both on handheld devices, learning and laughing. Last week the Huffington Post ran this article titled 10 Reasons Why Handheld Devices Should be Banned for Children Under the Age of 12. As an educator who advocates for the intentional and appropriate use of technology, I could go on about this forever. But instead I’m writing here as a mother. Here are my 10 reasons why I will continue giving my children handheld devices, and all other forms of technology as well. 1) Because banning things never, ever, ever works. Remember when your parents wouldn’t let you watch rated R movies so you just went to your friends’ houses to watch them? I think I’d rather have my kids using technology and handheld devices with me beside them. Where I can engage with them, answer questions, and limit content if I have concerns. On a return trip from So Cal to Michigan we found this amazing little roadside ghost town. The buildings contains several message scrawled on it’s walls.